Impressions de France is a film that combines images of France's scenery with classical compositoins from French composers. Unlike the CircleVision 360 films of the Canada and China pavilions, Impressions de France is projected onto screens that extend only 200 degrees around the audience. Location: On the right side of the France pavilion. # of Shows: Continuously through the day, every 25 minutes. Wait Times: Lines generally aren't very long, and it is uncommon to wait more than one show. Ride Access: The queue and theater is wheelchair and ECV accessible. Audio: Reflective captioning and assistive listening devices are available from Guest Services. 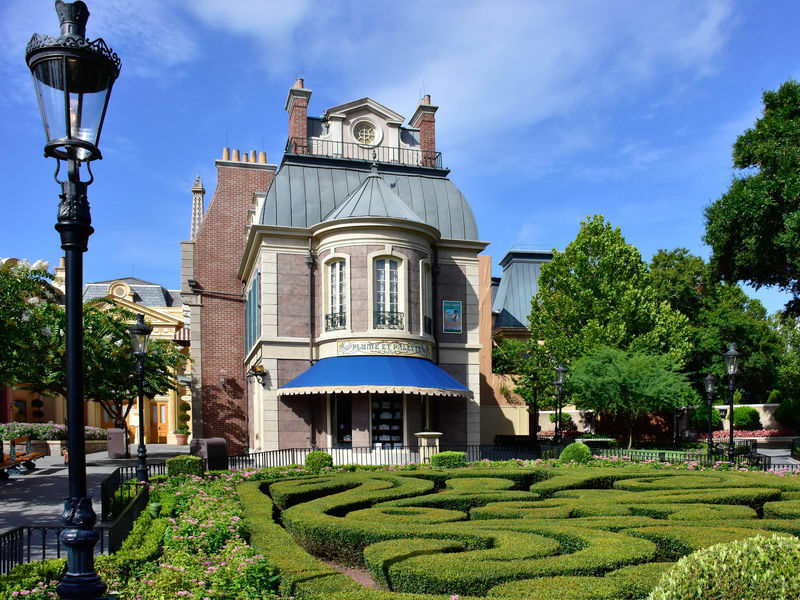 At this location: Impressions de France has been playing at this location since the park opened in 1982. The Attraction's History: The film has not been updated since it opened. HiFi: Impressions de France was the first motion picture with a score that had been recorded and processed in digital formats from beginning to end. The score, which celebrates French classical composers was performed by the National Philharmonic in London, England.